Quick Settings for Android! - Get JellyBean Toggles for ANY Android Device! ~ AndroidRootz.com | Source for Android Rooting, ROMS, Tricks and More! Even if you don't have an Android device running 4.2 or later, you can still get a little taste of it! 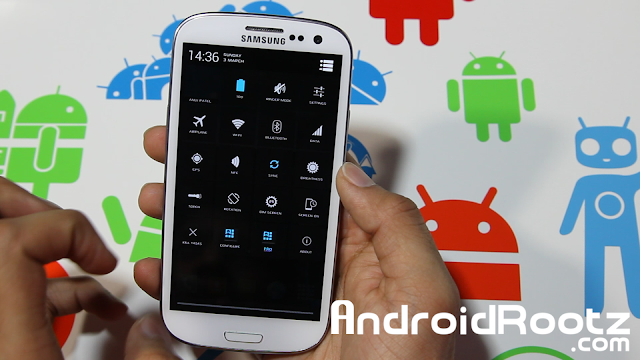 With Quick Settings you can get those cool easy to use toggles! This app is very identical to the real quick settings that is included stock in Android 4.2, but the difference is that you have more customization options with this one and anyone running 2.3 or above can get it! You simply just download this app and you automatically have quick settings from your status bar. Users also have the options to turns off certain toggles and you can change the order of them too! Try out Quick Settings app using the link below!